In the novel, Christopher, though an accomplished detective, still lives in denial and seems as if he still stuck in his adolescence. During almost all his conversation, he tends to equivocate. Even when goes to Shanghai to solve the mystery of his parents,he tackles the situation as a child game! Over twenty years passed and he still believes that the captives would keep them alive. The story places the reader in a strange position; we are never sure of any action or a scene. Everything is confused and messed up ! The whole story departs realism to a rather surrealist world. The characters vary and almost each character is contrasted with another although the main focus, apparently, is on Christopher who embarks on a quest to solve a mystery…to achieve self-identification. The main two females in the story, Sarah, the young girl he loves, and his mother are completely different. Their characters are carefully portrayed. While Sarah sees she cannot achieve anything without marrying a famous man, Mrs. Banks stresses her character apart from her husband or any other male figure. She arranges campaigns and stands firm against all threat. She even sacrifices her life for the sake of her child. Those female characters are just two types of women in this world….you can choose which one to be! In the novel, there is a sense of loss and devoid. The theme of Christopher’s quest is mainly emotional. His decision to go back to China is an attempt to fill a gap in his soul. He has never been the same after losing his parents. He doesn’t even grown out of his adolescence. All his conversations and action are coloured with a shade of this sense of deprivation. He feels that he is bereft of something and he will never feel complete without filling it. The story’s title “When we were orphan,” as a clear indication of this sense of loss. As the protagonist in the Bildungsroman, Christopher goes through many emotional ordeal and love experience till he achieves his goal of accomplishing self-awareness and self-fulfillment. 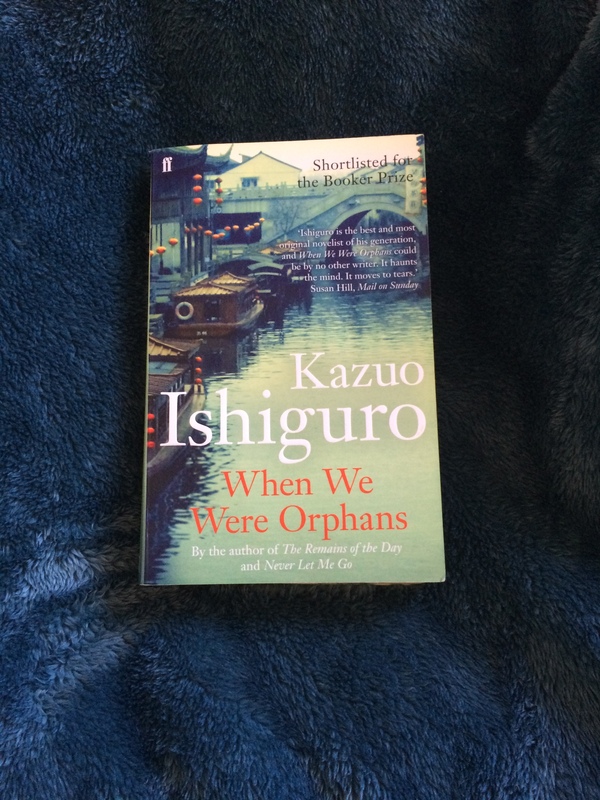 Although I love reading coming of age stories, When we were orphan did not appeal to me. It is emotionally exhausting. It puts pressure on me as a reader, and I felt all the bewilderment Christopher goes through somehow burdens me. Still, Christopher is a fine bildungsroman protagonist as he eventually succeeds in achieving the core of his quest.